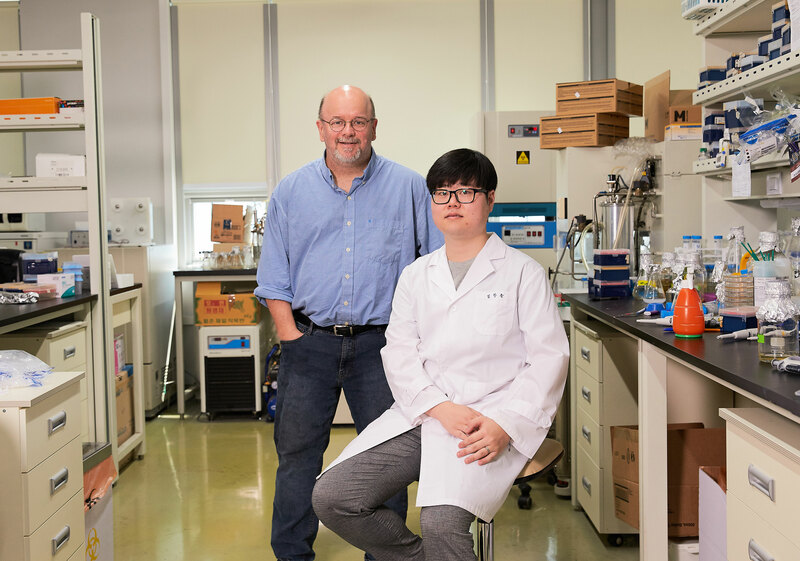 From left are Professor Robert J. Mitchell and Dr. Hansol Lim in the School of Life Sciences at UNIST. Their findings have been published online in the ISME Journal. 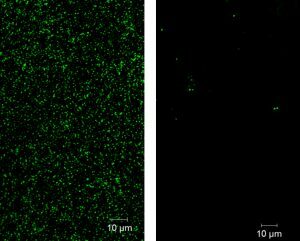 An international team of researchers, affiliated with UNIST has unveiled that biofilms formed by pathogenic bacteria can be degraded by bacterial predators. They expect that this breakthrough can aid in removing biofilms, the root causes of chronic bacterial diseases. 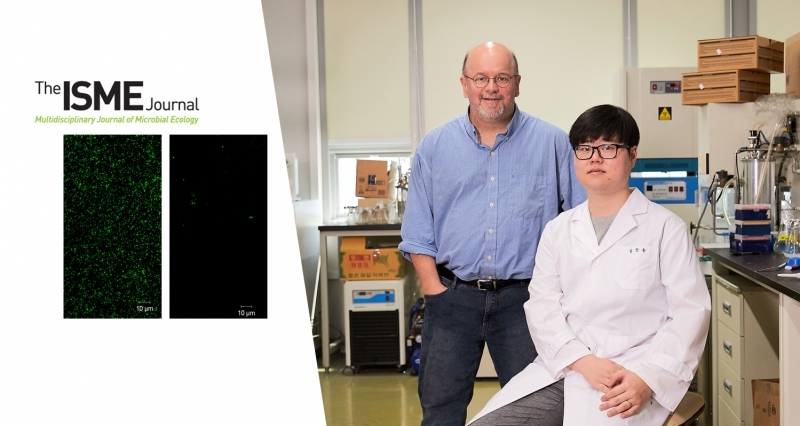 This breakthrough has been led by Professor Robert J. Mitchell and his research team in the School of Life Sciences at UNIST. In the study, the research team reported that Bdellovibrio bacteriovorus and other similar organisms, collectively referred to as BALOs (Bdellovibrio-and-like-organisms) play a predominant role in the removal of the established biofilms of Gram-positive bacteria. This demonstrates a new physiological role of BALOs, as this bacterium attacks only Gram-negative bacterial strains and their biofilms. Above figure confirms the degradation ability of predatory bacteria to treat S. aureus biofilms. The S. aureus biofilms, marked in green, disappeared after the treatment. | Photo Credit: Professor Mitchell’s research team. BALOs are bacterial predators that attack and prey on other Gram-negative pathogens without harming humans. Owing to its ability to predate upon Gram-negative bacterial strains and their biofilms, BALOs have been proposed as probiotic bacteria. A major limitation of BALOs, however, was their inability to attack Gram-positive strains. 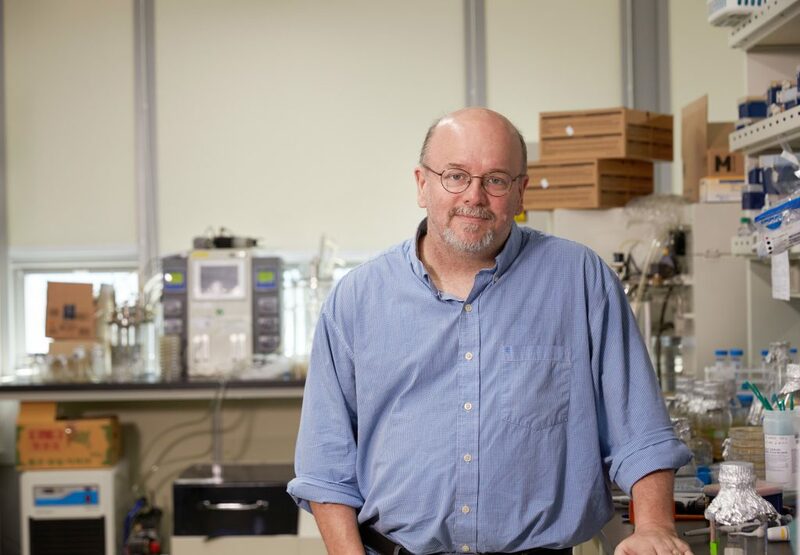 To better understand the roles of BALOs, Professor Mitchell and his research team began investigating the interaction between BALOs and Gram-positive bacterial pathogens. Using Staphylococcus aureus biofilms, the research team carried out various experiments. Their findings showed that a predatory bacterium, entitled Bdellovibrio bacteriovorus HD100 degrades the biofilm matrix, obtains nutrients and uses these to produce and secrete proteolytic enzymes to continue this process. 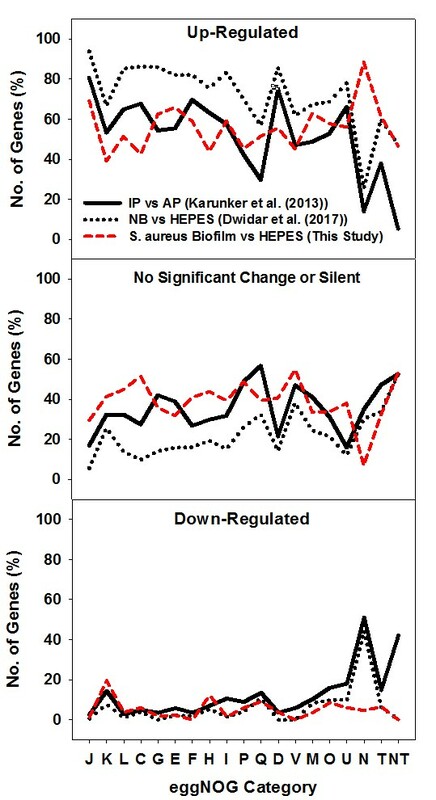 Subsequent experiments also showed that B. bacteriovorus HD100 gained several clear benefits from its interactions with S. aureus biofilms, including increased ATP pools and improved downstream predatory activities when provided prey. On the left, SEM image of B. bacteriovorus HD 100 is shown. On the right, SEM image of B. bacteriovorus HD 100 attacking pathogen is shown. 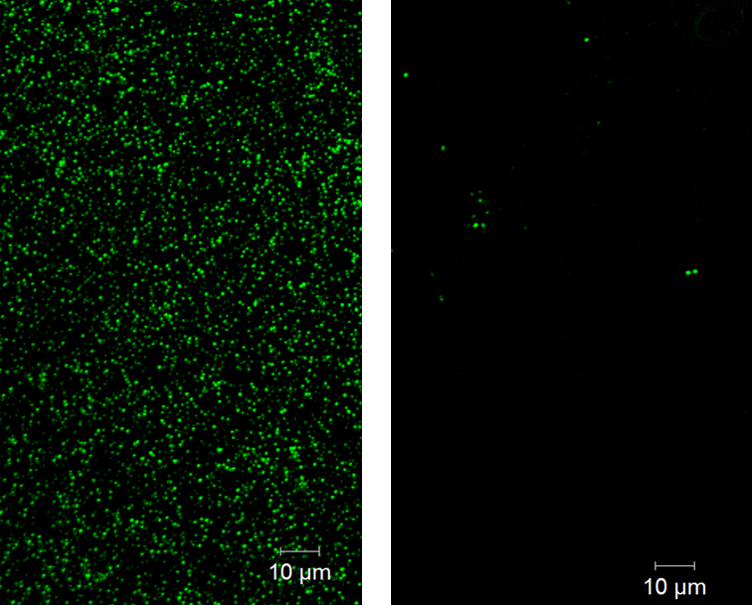 In the study, the research team proven the effectiveness of the removal of biofilms, formed by Gram-positive bacteria. This can be attributed to its potential application for treating a wide range of infections. The findings of this research have been published online in the ISME Journal: Multidisciplinary Journal of Microbial Ecology on May 31. Hansol Im, Mohammed Dwidar, and Robert J. Mitchell, “Bdellovibrio bacteriovorus HD100, a predator of Gram-negative bacteria, benefits energetically from Staphylococcus aureus biofilms without predation,” ISME J., (2018).